The real one will be for the new baby, but I used Kuzzles (not yet 1) as my model here. Here is the piece of felt, folded in half, cut up. 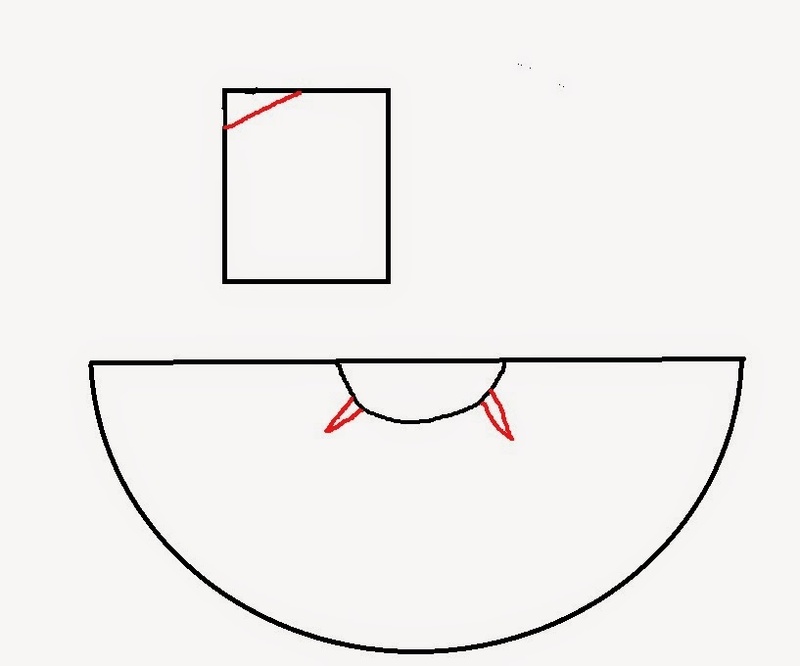 The semicircle is the cloak part. The hood is the rectangle. My hood was just 2 rectangles (the piece is doubled over, so every piece in the image is actually double), it's in the upper right hand corner. Even with Grandma's assistance, this was all we got. So I went off to find Jenny, who put up with being a test subject for me. As I suspected, the simple rectangle method came out a bit too pointy for my taste. So I just trimmed a tad off of the top. Cutting out the shoulder dart. On a knit or woven cotton cloak, I'd just put a pleat in the shoulder, but since this was felt and on a baby, I cut the shoulder dart out. And tried to eat it. So, I'm joining my first-ever sewalong!! 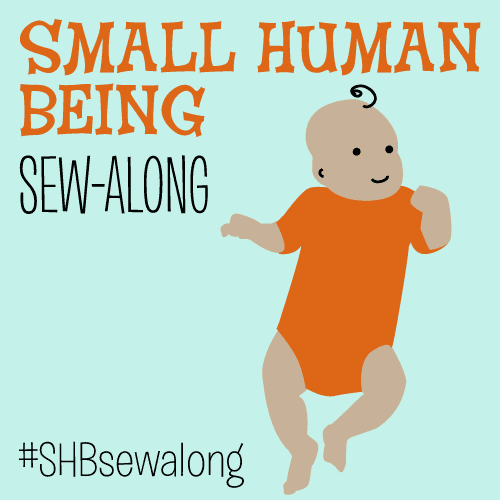 From Cationdesigns the "Small Human Being Sewalong"
A maternity/nursing (yayy multipurposing!) Lord of the Rings themed coordinating dress for myself. I think the rules are to sew during the month of April and share at the end. Its going to be a Lord-of-the-Rings month, as I'm also sewing some Lord-of-the-Rings inspired elven sleeves for the wedding of a very good friend. Here's to a fun Lord-of-the-Rings inspired April! And Happy destruction-of-the-ring day. As well as Happy Medieval-the-first-Good-Friday date...March 25th is about the downfall of evil. While discipline and character are clearly what I need, recognizing my "patterns of failure" really help. Example, I struggled with doing the dishes, pretty much all my married life. They would seemingly grow, just sprouting out of the sink, onto the counter. And stare at me, an hours job at least (we didn't have a dishwasher in our first appartment). And grow things. And it would take me so much emotional effort to face them...I would finally face them when we ran out of things to eat off of, which before the kids, was about 2-3 times a week. That mountain grew things. And I was always embarrassed, when people just dropped by (the kitchen area was the main area, there was no where to hide them). But also, I learned tips they did which vastly cut down on the amount of emotional energy it took to face the dishes in the first place, which will last me after we move out. 1. Right after being doing with something, scrape the food off, and rinse it out, before putting it in the "dirty dishes" bin. This made a HUGE difference for me. The dishes didn't grow things. The sink didn't have a slimy layer of sludge on the bottom. By throwing away/rinsing initially, there wasn't all this extra food for the bacteria to prey on in the first place. Also it made things so much easier to clean--food wasn't dried onto it. 2. Fill the dishes bin with REALLY HOT water and a little squirt of soap. Let sit for 2 minutes. Then scrub/wipe them all and put them into the "rinsing bin", and then rinse them all at once. This was is SO MUCH FASTER. The initial soak of hot water made things so much easier to wipe down/scrub, vastly cutting down on the washing time. Doing the washing and rinsing one sinkload at a time made things much more efficient than hand washing and rinsing each individual piece. 3. Do as much of the dishes as possible BEFORE dinner. After dinner I will be exhausted and have the least amount of emotional energy left. This was my biggest problem. I would let the dishes compile all day, expecting to do them "after dinner"---the time, when I would be most exhausted, most wanting to go lie down or finally do something relaxing or fun. And with the kids in the mix, there's the whole bedtime routine as well, giving me about an hour of free time after dinner is done and the kids are down, before its time to go to bed so I won't be a grumpy mom in the morning. This is literally now, the difference between me being able to craft/sew and not being able to at all. AND, the prime dishwashing time, is when I am MAKING DINNER. Often you have to wait for water to boil, or stir something every now and then, or wait 15 minutes before pulling the tin foil off of something in the oven---or letting the pizza cool for 5 minutes after taking it out --- all those little 5 minute chunks of time, this is the time to stand near the oven/stove---which is the sink---and get as much of those dishes out of the way as possible. This has helped me so many nights when I wouldn't have had the energy to face ALL the dishes after dinner. In all of this, my biggest problem is character. In doing things I don't want to, instead of putting them off till there's a crisis. However, while this is the heart of the matter, I've found my lowering the "emotional energy threshold" of these tasks, I make it that much easier for myself to do. It's recognizing my patterns of failure, and replacing them with patterns of success. --->rinsing most of the food off BEFORE it can get really gross, and thus take more out of me. We went to the zoo again. Isaiah wanders around the backyard, purposefully, carrying this watergun and singing his rendition of Mumford and Son's "The Cave". He's being "Jim". All from here. Its amazing how stories, especially stories of heroes, shape a kid. Any man in a mech suit, or anything that could resemble a mech suit (generic astronauts) are "Jim." It makes his "Reach for the Stars" shirt with a astronaut that much cooler, its his "Jim shirt." He also loves Captain America, and Saint George, sometimes conflating the two, with Captain America killing a dragon. We had a day that was cold enough for me to subject them to their hats. Keziah would have none of it, but Jenny obliged. Grandpa was teaching Isaiah how to hit the T-ball. Jenny kept being disturbed whenever Isaiah knocked the ball off the stand. "No, duh ball be ON"
Keziah was oblivious to the dilemma. Now that she was free of the tyranny of the hat, all was well. On a sunnier day, I decided to photograph some of the circlets I was working on for my etsy shop (yet to be opened). Her is my Arwen Evenstar, modeling them for me. Keziah also bounced up and down whenever we pray (we sing Praise God for dinnertime, and various other tunes for lunch, etc). She even stops fussing for food, and silently bounces, often with a big grin on. It is her contribution. The other day, Jenny heard the whine of a machine. Jenny: Mommy, what is going on? Is dat a crocodile singing? Jenny: (very confidently) No, its a crocodile singing. Isaiah continues to make up stories and retell stories, often reapplying them to various situations in his life. The other day, I was in the other room, and I heard Jenny getting very upset. Jenny: "Mommy! Idaiah took the peawls fwom Gamma Beawr!!" He usually doesn't go after her stuffed animals, much less their jewelry. I voiced some commands and threats, no response.